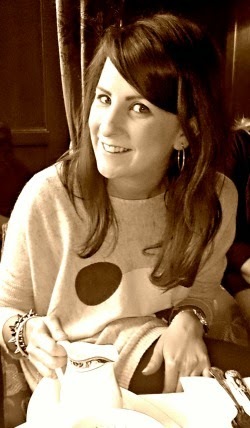 This week a very good friend of mine was leaving her current job to move on to something new. She wanted me to make a cake to celebrate all the good times and wonderful people she has been working with over the last few years. We discussed all the options for what would make up the delicious core of the cake and decided on a luscious lemon madeira with lemon butter-cream icing. 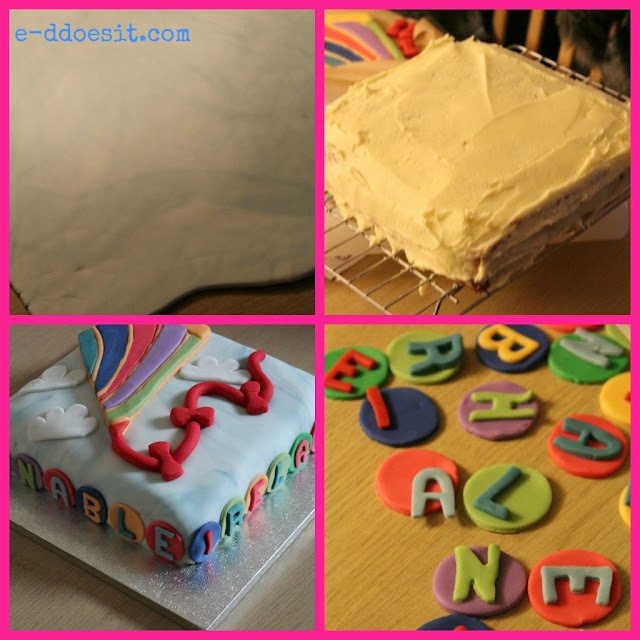 The cake itself is a 9 inch square cake, which I covered in delicious lemon butter-cream before covering it neatly in 'cloudy' fondant icing. 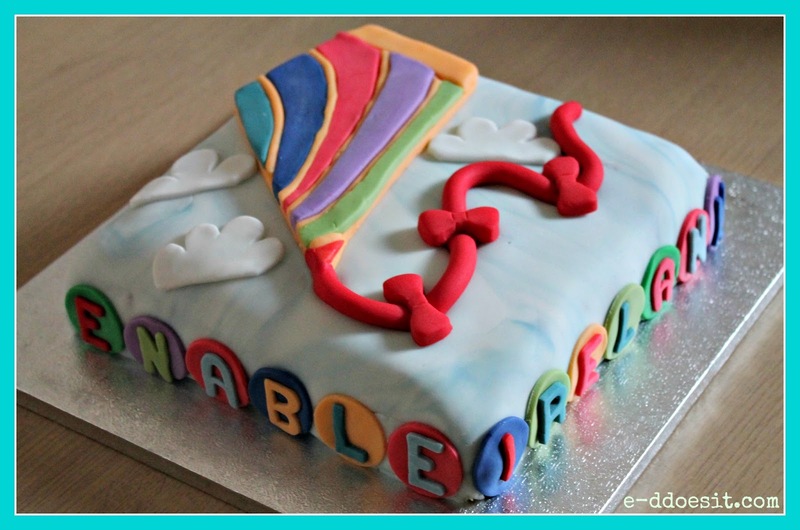 The kite is actually one of Enable Ireland's logo which my friend really wanted to incorporate into the cake. The result is a bright and colourful cake which looked quite the treat for her coffee morning! Mix all ingredients togther using a handheld mixer until light and fluffy. complimenting colours and letter cutters to write the message.